Courtesy of WOWSA, Costa Rica. 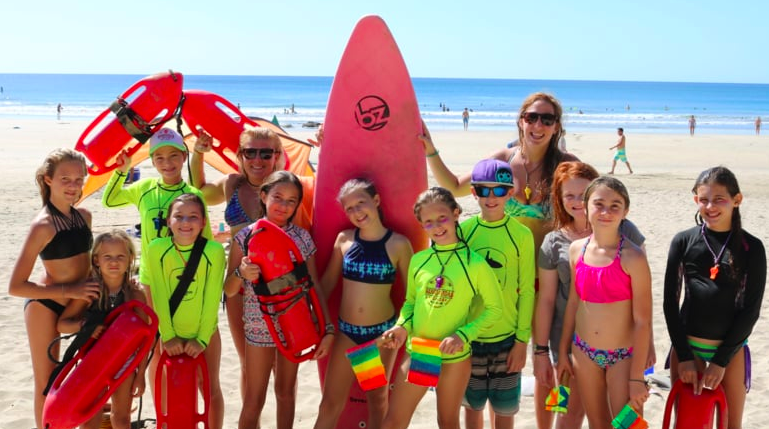 "Aude Lemaire-Hamel has a holistic vision of making the beaches safe in Costa Rica by empowering the newer generation of swimmers and lifeguard in the country, starting with our children," said UNICEF's Julie Pudlowski. "She has taught our children about healthy living, CPR, semaphore language, team spirit and confidence building besides the obvious swimming and water confidence skills they learned in the program. Her real life-saving experiences that she shared with our children on coasts of Hawaii, Canada, Costa Rica and the United States made all of her training come to life for our children and made them understand the importance of the new skills that they were learning." Lemaire-Hamel founded VAMOS Youth where lifeguarding, ocean swimming, water polo sessions are offered at Tamarindo, Puerto Viejo, Playa Danta, Flamingo and La Paz Aquatic Center in Costa Rica. The energetic Canadian previously competed internationally in open water races and in lifesaving events. Later, she joined the triathlon team of Laval University in Québec City where I studied for four years and worked for more than 10 years as a professional lifeguard in Montreal, Myrtle Beach, and Ocean City Beach Patrol in New Jersey. "That’s where I realized lifesaving wasn’t just a job, but a passion and a competitive sport," she explained. "After working as a Surf Rescue Technician for couple summers, I decided to focus my training a lot more on lifesaving competitions and got selected to represent Canada in international pool lifesaving competitions with the national team." She then became a lifesaving instructor with the Canadian Lifesaving Society and a certified swim and triathlon coach. During my second year on the job as a Surf Rescue Technician in Ocean City, she had an experience that no lifeguards wants to face, "I had an intense rescue where the victim unfortunately died. The ocean conditions were crazy that day. During our first hour of work, the whole beach patrol had over 300 rescues, I had five. At that point, the captain decided to close the beach and only allow ankle-deep swimming. On my sixth rescue, the victim ran recklessly into the ocean and a flash rip current opened up and he instantly got pulled away. I got in and swam as fast as I could, visibility was awful which made it harder to spot him, but I could hear him scream for the first few seconds. I was less than a meter away, ready to catch him when a sudden set of waves came in and took the victim under water. After an hour of search and rescue, we found his body. We learn that this 17-year-old man did not know how to swim, was intoxicated, and did not listen to the ankle-deep rule. I was devastated. At that moment, I knew I had to do something to educate the youth about water safety. 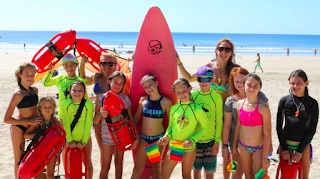 After finishing my degree, I literally packed one bag and moved to Costa Rica with the mission to educate the youth of our beach community to be advocates for ocean safety and leaders in keeping the beaches safe. Why Costa Rica? Drowning is the second highest cause of accidental death in the country and I had some friends working in international schools. In only two years, we now have a water polo team, lifesaving academy, open water swim team. We also organize sports events, tournaments, and retreats. I was finally able to make lifesaving class mandatory in two schools as part of their Physical Education curriculum. My next step is to fundraise money to build lifeguard towers and put lifeguards on the beach with my junior guards. 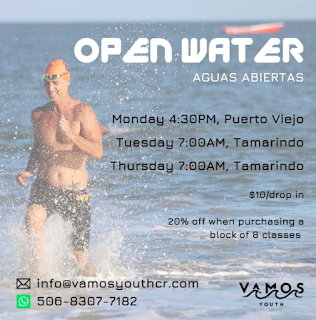 My colleague who is another waterwoman and did 12 years on the Canadian national team in water polo will swim with me from Las Catalinas Island to Playa Danta to raise awareness about ocean safety and swim lessons." Guardavidas Junior de Guanacaste from Aude Lemaire-Hamel. For more information on VAMOS Youth, visit here.